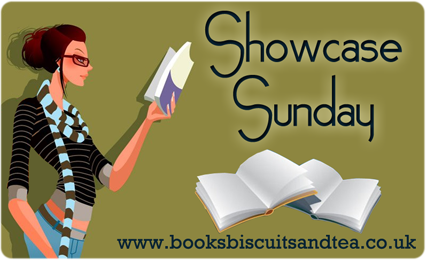 Showcase Sunday is hosted by Books, Biscuits & tea and it aims to highlight our newest books or book related swag and to see what everyone else received for review, borrowed from libraries, bought in bookshops and downloaded onto eReaders each week. For my very first Showcase Sunday post, I’m sharing my loot this week, most of which are courtesy of the ongoing big sale of National Book Store. 1. Christ the Lord: Out of Egypt by Anne Rice – I bought from one of the book booths during the Filipino Reader Convention last Saturday. I bought it for 100 pesos! 2. Foundling (Monster Blood Tattoo #1) by D.M. Cornish – I bought it from the same booth as (1) for the same price. Not bad for I’ve been looking for it at local bookshops and couldn’t find any. The ones available are mostly the second and third books. 4. The Light (Morpheus Road #1) by D.J. Machale – I deemed it perfect for my Halloween read-a-thon. 6. Blink & Caution by Tim Wynne Jones – I put it on my wishlist a month ago so I’m happy I can cross it out of the list. I heard some great reviews about it last year. 7. The Genius Wars (Genius #3) by Catherine Jinks – A book to complete the trilogy! 8. No Way to Treat a First Lady by Christopher Buckley – For some reason I became a big Buckley fan with the way he makes fun of the government through his satirical writing. I think it adds to the appeal that I work for the federal government so I kind of dig the ridiculousness. 9. The Physick Book of Deliverance Dane by Katherine Howe – I love the cover! 10. House of Silk by Anthony Horowitz – I didn’t buy it. I borrowed it from my book club. Three of them have read it and they raved about it. I have to finish reading it until our book session next month. What books did you get last week? I don’t know any of these books but they look good :). Thanks for stopping by my blog !